On March 26, 2015, Dennis Debbaudt for the third year provided NAA NYM-sponsored autism training to NYPD sergeants and others. Mr. Debbaudt, of Autism Risk Management, is a global leader in providing autism training for law enforcement, emergency responders, and other first responders. 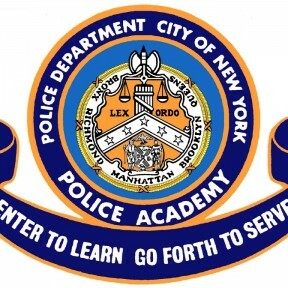 This year’s training was held at the newly opened NYPD Police Academy in Queens. The room was packed as NAA NYM president Kim Mack Rosenberg gave a bit of background on NAA NYM, thanked those in attendance for coming to learn, and introduced Mr. Debbaudt. He provided video examples of situations in which officers might find themselves and critical information to help officers address a variety of situations in which they might face a person with autism. People with autism may be victims of crimes, may be lost or wandering, may witness a crime/suspected crime, may need emergency assistance, or may even be suspected of being involved in a crime. Officers and other first responders need to understand ways in which people with autism respond, react or act differently than neurotypical individuals, for both the officers’ safety as well as the safety of the person with autism. NAA NYM thanks both Mr. Debbaudt and the NYPD for partnering with us in this critical venture.